Ahadith 2410 – 2412 (below) are repeats. See linked text for related posts. 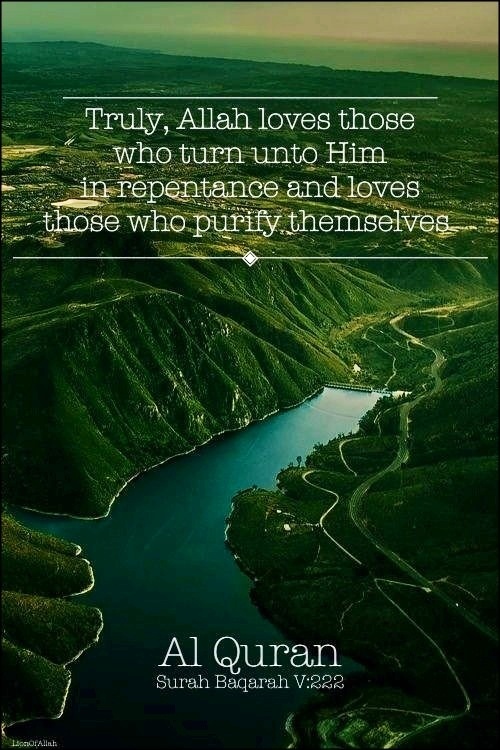 The story of Ka’b’s (radiallaahu `anhu) repentance is most beautiful. He narrated it in his own words to his son who then narrated it further, and it’s recorded in Bukhari and Muslim. We’ll come to the story after this point: it is mustahabb (liked) to give charity after committing a sin (and repenting). Al-Tirmidhi (614); classed as saheeh by al-Albaani in Sunan al-Tirmidhi. The Messenger of Allah sallallahu ‘alayhi wa sallam would conceal his intention to embark upon a military expedition by making reference to other campaigns, until the time for that expedition arrived. “Any individual who wished to remain absent would assume that his absence would pass unnoticed, unless it was revealed by Allah by means of Divine Revelation. The Messenger of Allah sallallahu ‘alayhi wa sallam undertook that expedition during a season wherein the fruit had ripened and the shade had become pleasant. “The Messenger of Allah sallallahu ‘alayhi wa sallam and the Muslims equipped themselves with the necessary provisions. I too departed in order to prepare myself, however I returned without accomplishing anything. I would say to myself: I am able to prepare myself. Hence, I continued to postpone my preparations. However the people occupied themselves in earnest with the journey, until the day arrived wherein the Messenger of Allah sallallahu ‘alayhi wa sallam and the Muslims proceeded to depart. However I had not completed any part of my preparations. I said to myself: I shall prepare myself in one or two days after his departure, and then I will join them. “The morning after their departure, I set out in order to equip myself. However, I returned without completing anything. The following morning, I set out again, nevertheless, but I returned without accomplishing anything. This continued until they hastened towards the battle, and the campaign had passed by. Nevertheless, I intended to depart and reach them, would that I had done so! However, I was not destined to do that. “After the departure of the Messenger of Allah sallallahu ‘alayhi wa sallam I would enter amongst the people and it would become a cause of sadness for me. For I did not see except the one suspected of being a hypocrite, or the weak and infirm whom Allah had excused from participation. “When I learned that he had turned in order to return, I was consumed by distress, and started therefore to invent lies. I started to question myself: With what can I avoid his anger tomorrow? I sought assistance from every individual of sound mind and judgment from amongst my family. “When it was mentioned that the Messenger of Allah’s sallallahu ‘alayhi wa sallam arrival was imminent, the false excuses vanished from my mind. I recognized that I could not liberate myself from this predicament by means of falsehood. I therefore resolved to speak the truth. “The Messenger of Allah sallallahu ‘alayhi wa sallam replied: ‘In relation to this man – he has spoken the truth. Therefore, stand until Allah pronounces judgment in this matter.’ I therefore stood, a group of men from the tribe of Bani Salimah became disorderly and started following me. They addressed me: ‘By Allah – we have not known you to commit a misdeed. Verily you erred in not excusing yourself before the Messenger of Allah sallallahu ‘alayhi wa sallam in a similar manner to the other absentees who excused themselves. The Messenger of Allah’s sallallahu ‘alayhi wa sallam action of seeking forgiveness for your misdeed would have been sufficient for you.’ They continued to reprimand me until I desired to return to the Prophet sallallahu ‘alayhi wa sallam and fabricate a lie against myself (contradict my story). “By their statement, they had made reference to two virtuous men who had participated in the Battle of Badr, and were examples to be followed. After they had mentioned these two men I remained steadfast upon my original statement. “Thereafter, the Messenger of Allah sallallahu ‘alayhi wa sallam prohibited the Muslims from speaking to us – namely the three individuals from amongst us who had neglected to accompany him. “As a consequence the people avoided us and altered their conduct towards us, until the land wherein I lived appeared foreign, not one which I was familiar with. We remained in that state for a period of fifty nights. In relation to my companions – they surrendered themselves to their houses and remained seated therein, weeping. However, I was the youngest and most forbearing of the three, I would therefore exit the house in order to perform the prayer with the other Muslims. “Upon reading the letter I said to myself: This too is a trial placed before me. I therefore placed the letter in the oven and created a fire by burning it therein. “The wife of Hilal ibn Umayyah came to the Apostle of Allah sallallahu ‘alayhi wa sallam and said: ‘O Messenger of Allah, verily Hilal bin Umayyah is an elderly man who is incapable of taking care of himself. Furthermore, he is not in possession of a servant, would you therefore object if I was to serve him?’ He responded: ‘No, but he must not approach you.’ She said: ‘By Allah, he has no desire for any matter. By Allah, he has not ceased to weep from the day this matter started until this time now.’ Some of my family members questioned me: ‘Why don’t you seek permission from the Messenger of Allah sallallahu ‘alayhi wa sallam concerning your wife, as he has granted permission for the wife of Hilal bin Umayyah to serve him?’ I responded: ‘By Allah, I shall not seek permission from the Messenger of Allah sallallahu ‘alayhi wa sallam concerning her. I am not aware of what the Messenger of Allah sallallahu ‘alayhi wa sallam would say if I sought his permission in relation to her whilst I am still a young man.’ I remained in that state for an additional ten nights, until fifty nights had been completed from the point that he had prohibited the people from speaking to us. “Suddenly I heard a clear voice emanating from the direction of Mount Safa. Somebody announced with his loudest voice: ‘O Ka’ab bin Malik, I confer upon you glad tidings!’ I prostrated myself upon the ground. I realized that relief from this tribulation had arrived and that the Messenger of Allah sallallahu ‘alayhi wa sallam had indicated that Allah had granted us penitence. After the Fajr prayer, the people thereupon proceeded forth to congratulate us, and bearers of glad tidings departed to my two companions. A horseman raced towards me in order to congratulate me and a messenger from the tribe of Aslam raced towards the mountain and scaled it in order to make the announcement. I heard his voice before that of the horseman. When the individual whose voice I had heard approached me to convey the glad tidings, I removed my garments and clothed him in them. By Allah, on that day I was not in possession of any other garments, I therefore borrowed two items, clothed myself and proceeded towards the Messenger of Allahsallallahu ‘alayhi wa sallam. People started receiving me in groups, congratulating me upon the acceptance of my penitence. They said: ‘We congratulate you upon Allah’s acceptance of your repentance.’ When I entered the Mosque, the Messenger of Allahsallallahu ‘alayhi wa sallam was sitting, surrounded by people. Talhah ibn ‘Ubaydullah hastened towards me. He shook my hand, and congratulated me. By Allah, no one from amongst the Muhajirin (Emigrants) stood in order to greet me save him, and I shall never forget Talhah’s action in doing so.